This fixer upper home is an amazing opportunity for any buyer willing to put in some sweat equity! The home has great bones with a new roof installed June 2018 and a septic that has already been pre inspected - all it needs is your personal cosmetic touch. 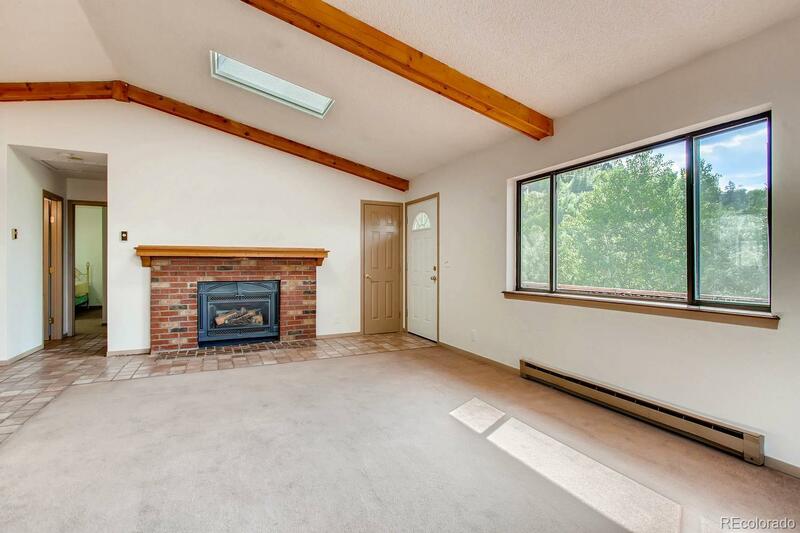 The open concept main level makes this home feel large and is complete with a fireplace. A third bedroom can easily be added to the lower level walk out basement, or use the private space as a mother in law apartment. The flat area adjacent to the home provides ample space for an addition of a garage, more living space, or both! The wrap around deck captures the beautiful views of the mountains. Close to 285, you'll be home from work in no time and ready to hit the hiking trails at the nearby Meyer's Ranch Jeffco Open Space or Staunton State park.